When I tell people I never wear foundation, it’s usually met with some form of dismay, followed by annoyance, followed by wonder. By no means is my skin perfect (hormonal acne threatens even the most poreless amongst us), but I do invest a lot of effort into my skin care to make sure my complexion is even and glowing. My dermatologist would agree! And while I love throwing on a bold red lip or a purple eyeshadow depending on my mood, I would rather use any spare time massaging my skin with serums and creams until it glows. However, like many of you, the wintry weather has taken its toll in the form of dry patches, flaking, and irritation, especially around my nose and cheeks. I recently took stock of my day and nighttime regimens and subbed out a few products to ensure maximum hydration around the clock. I have combination skin, so I’m always wary of trying anything too heavy, but for the past two months I’ve enjoyed plump, dewy skin with only a rogue breakout or two. Check out everything I’m loving right now for an ultra-moisturizing winter skin-care routine. 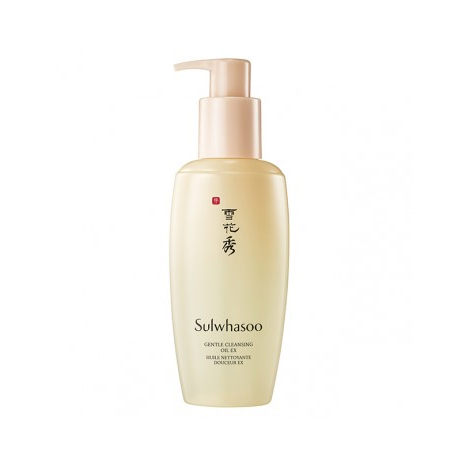 Sulwhasoo Gentle Cleansing Oil: Not only am I a firm believer in the two-step cleansing process, but because I’m prone to puffiness if I so much as look at a grain of salt, I use the slip of an oil in the morning to massage my face. The Sulwhasoo is a recent discovery from my trip to Korea, and I truly love the formulation. It’s not too watery, it gets rid of any leftover eye makeup, and I can move my hands around my face to promote circulation with ease. It’s also a nice moment to help you wake up and center yourself before the craziness of your day begins. 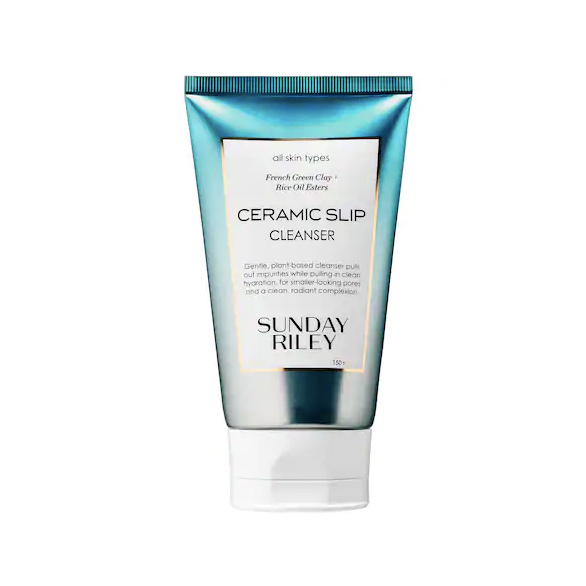 Sunday Riley Ceramic Slip Cleanser: I’ve become a shower-in-the-morning type of person, so I rinse the oil cleanser in there and follow with Sunday Riley’s cult-favorite Ceramic Slip cleanser. I can feel it scooping out any dirt and leftover oil from my pores, but when I pat my face dry, it doesn’t feel tight—essential, especially in the winter. It gets my skin to the perfect neutral starting point for the rest of my products and, eventually, makeup. 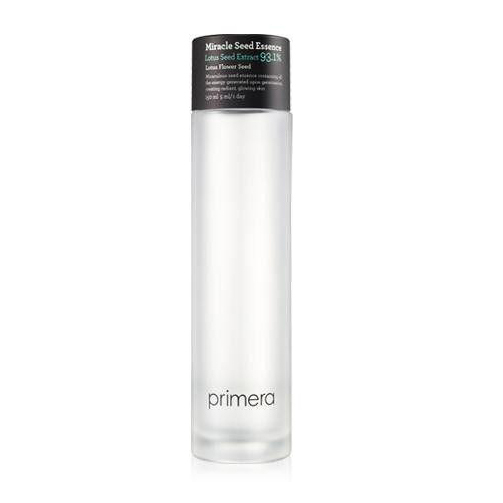 Primera Miracle Seed Essence: Another favorite from Korea, this essence contains amino acids and linoleic acid from lotus seed extract to help moisturize. I shake about three drops into my palms and pat my face until it’s shiny. Then I pour myself a cup of coffee while it dries, about two to three minutes. 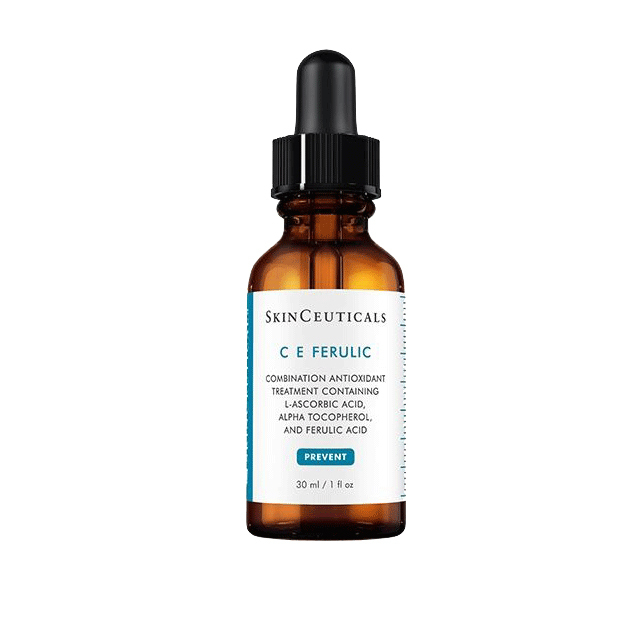 Skinceuticals C E Ferulic Vitamin C Serum: If I could only use one active skin-care ingredient for the rest of my life, it would be vitamin C. There’s nothing better for keeping your complexion even, and if you have melasma left over from the summer, like me, it’s your best plan of attack to lighten and eliminate dark spots. I squeeze a drop onto my forehead, both cheeks, and chin, and pat around my face, avoiding the eye area, then let that dry for 30 seconds. 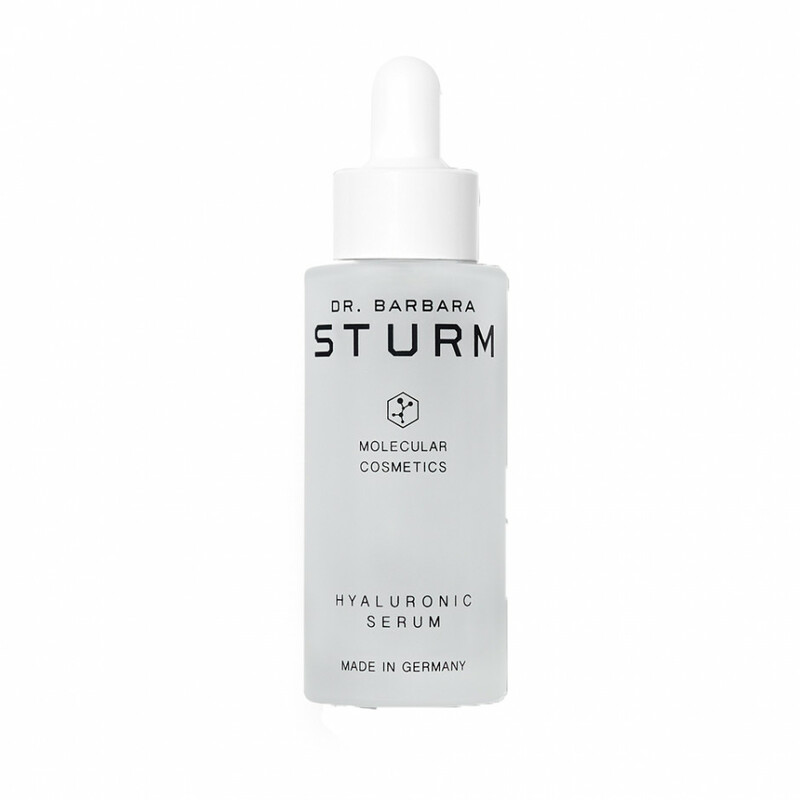 Dr. Barbara Sturm Hyaluronic Acid: Whether or not you’ve already hopped on the hyaluronic acid train, I’m here to tell you this one from Dr. Barbara Sturm is the best you can get. It doesn’t matter what time of year it is, if you want maximum hydration, add a hyaluronic serum to your routine. I squeeze a third of a dropper into my hands, pat together, and press it into my skin. Your skin will look, in the words of makeup artist Nam Vo, like a dewy dumpling. 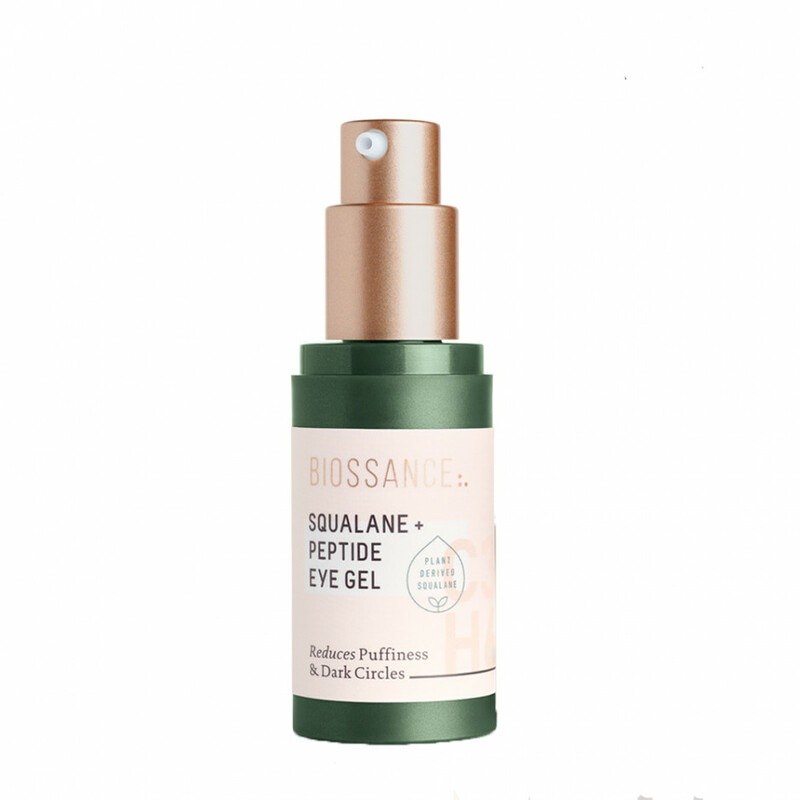 Biossance Squalane + Peptide Eye Gel: I’ve searched high and low to find an eye cream that not only deeply hydrates but won’t cause my eyeshadow to crease halfway through the afternoon. This one cannot be beat. It’s super light and helps eliminate any lingering puffiness. I tap a pea-size drop around both eyes, and while everything dries, I run my jade roller across my cheeks, jaw, eyes, and forehead to promote more lymphatic drainage (aka sculpted cheekbones) and help the products soak into my skin. 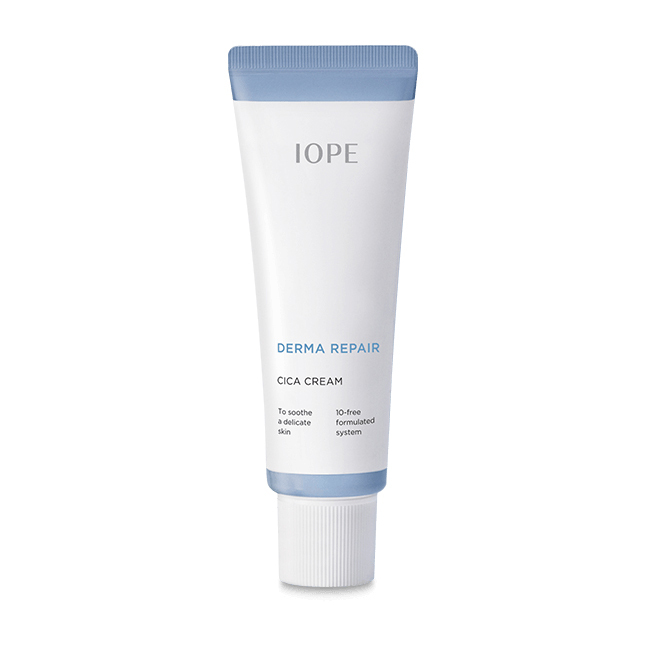 Iope Derma Repair Cica Cream: My third Korean beauty discovery, this cream is an absolute savior in a bottle. 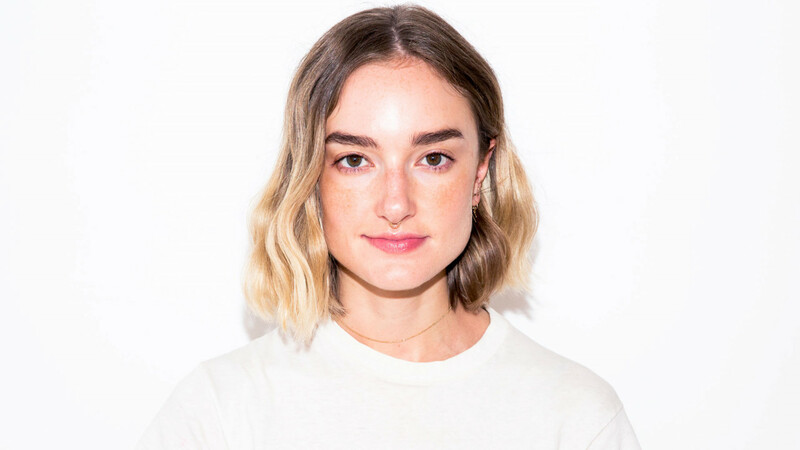 It blends seamlessly, provides a demi-matte finish without blocking out the dewy factor, and my skin hasn’t had a dry patch flare-up in weeks. Cica cream is anti-aging, because it’s formulated with Centella Asiatica—also known as tiger grass—which is an herb popular in traditional Chinese medicine to help strengthen skin’s barrier. I’d never know it though, as there’s no tingling or irritation. It’s just a welcome bonus. Tatcha Silken Pore Perfecting Sunscreen: I adore this sunscreen with every fiber of my being. It really does make your skin look like silk—soft, blurred, and neither too shiny nor matte. I love it under a cream blush or highlighter because there’s absolutely no pilling. Never, ever, ever skip sunscreen! 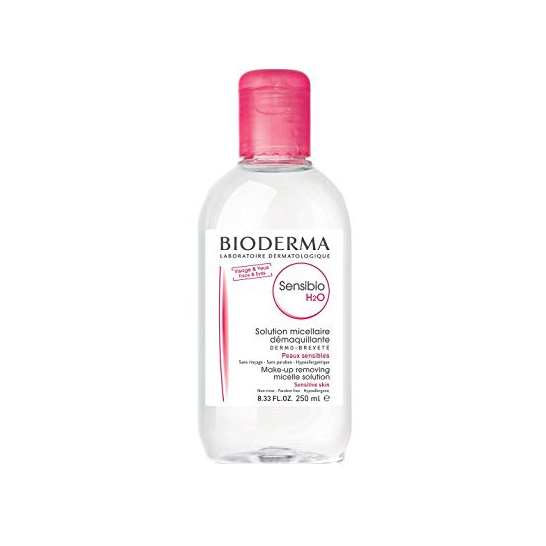 Bioderma Sensibio H2O Micellar Water: At the end of the day, I take my makeup off with a gentle micellar water and cotton pads from Muji. It usually takes about two to three passes over each eye and my cheeks with gentle pressure. Make sure you don’t scrub—if you’re wearing a waterproof formula, leave two drenched cotton rounds on your eyes for 30 seconds and then wipe it off. 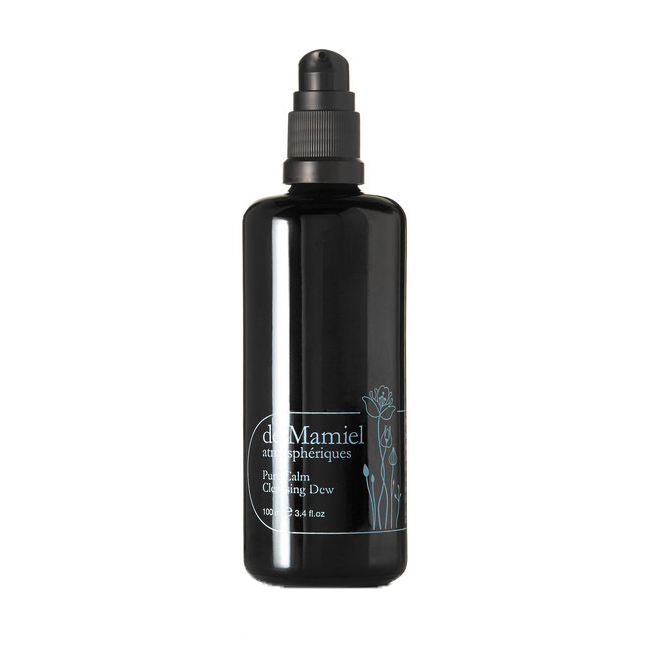 de Mamiel Pure Calm Cleansing Dew: Again, double-cleansing helps remove any leftover makeup and deep-cleans my skin. I love Aimee de Mamiel’s formula—it’s like aromatherapy and skin care in one. I apply it to dry skin and massage for about 60 seconds, then rinse with warm water. 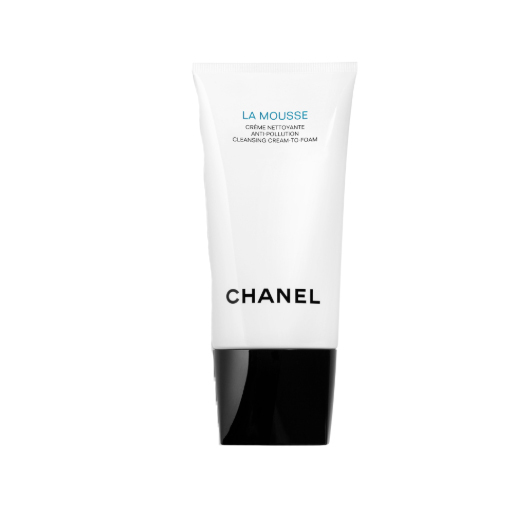 CHANEL La Mousse Anti Pollution Cleansing Cream to Foam: I always feel extra fancy when I use CHANEL skin care, and this gentle foaming cleanser is definitely my favorite. It doesn’t strip my skin, but still leaves it feeling fresh and clean. I pat dry with a fluffy white towel to make sure I didn’t leave any makeup remnants behind. 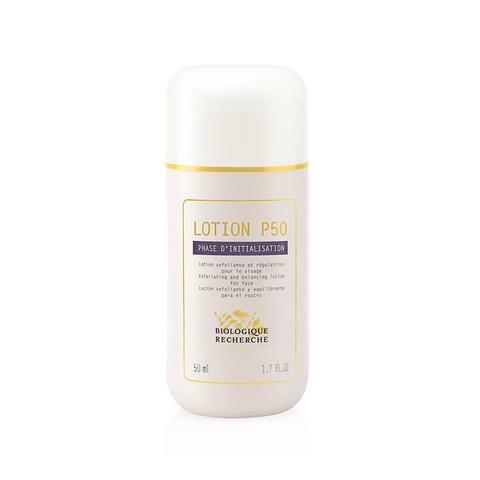 Biologique Recherche P50 Lotion: Yeah, I’m a member of this particular cult. Exfoliating toners work, y’all! It improves skin texture and stops any burgeoning breakouts in their tracks. In the winter, when my skin is extra sensitive, I switch to using P50 every other night. Two or three drops on a cotton pad is plenty for me, but if you’re wary or a newbie, try it out on the back of your hand first. 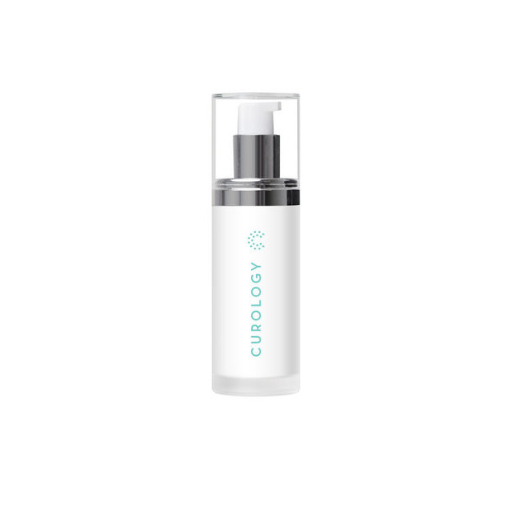 Curology Custom Rx Lotion: When I switched from a pill to an IUD, my hormonal acne went INSANE, so I looked for a prescription acne treatment that would help eliminate cysts. I’ve been using Curology for about four years, and my blend of azelaic acid, tretinoin, and clindamycin has truly saved my skin. Everyone’s formula is different and prescribed by a dermatologist, but if you’ve struggled with breakouts, I can’t recommend it enough. 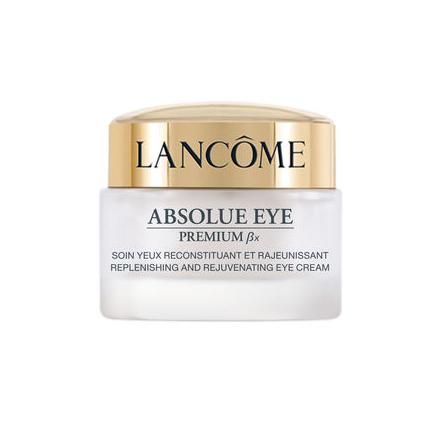 Lancôme Absolue Eye Premium: I want a luxe, creamy eye treatment at night, and this formula from Lancôme nails it. I take my time to pat it in (never pull at your delicate eye area) and remove any excess from my lashes with a Q-Tip. When I wake up, my eyes are still moisturized and never red with sleep. 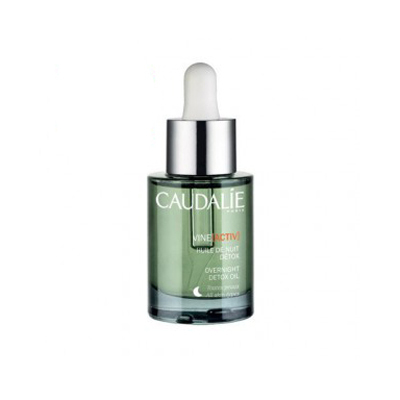 Caudalie Overnight Detox Oil: Out of all these products, I’ve used this Caudalie dry oil the longest (four empty jars and counting). I’m normally sensitive to oils, but my skin soaks this one right up. It promotes cellular renewal and helps detoxify from pollution and free radicals, not to mention stress. Bottle number five, here I come. 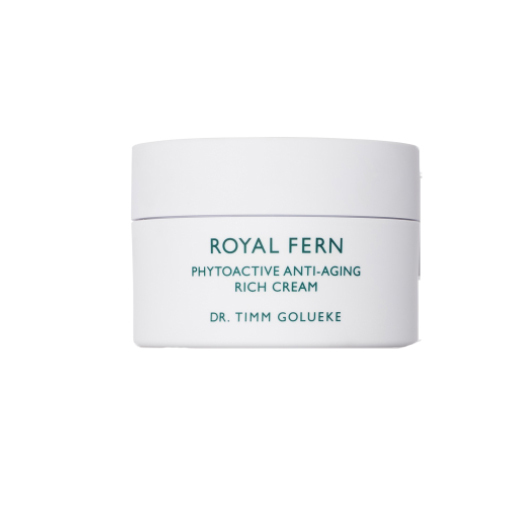 Royal Fern Phytoactive Anti Aging Cream Rich: I want my night cream to work even while I’m sleeping, which is why I swear by this Royal Fern cream. It helps stimulate collagen and elastin production, counteracts pigmentation, and is stacked with antioxidants so my skin stays hydrated all the way through till morning. It’s the icing on top of a very product-heavy cake, so to speak. But above all, consistency will garner the best results no matter what kind of products you’re using, so just stick to your routine and you’ll be the proud owner of the glowiest, most moisturized skin of your life.